If you know which communication systems you want to rent or buy, please contact us by email or via the contact form to request a quotation. If you don’t know what kind of communication system you need, please contact our Customer Service, they’re happy to advise you on the communication system that fits your needs and what costs go with it. After you’ve received our quotation, you can proceed to order the products. You do this by agreeing to an email with the quotation. 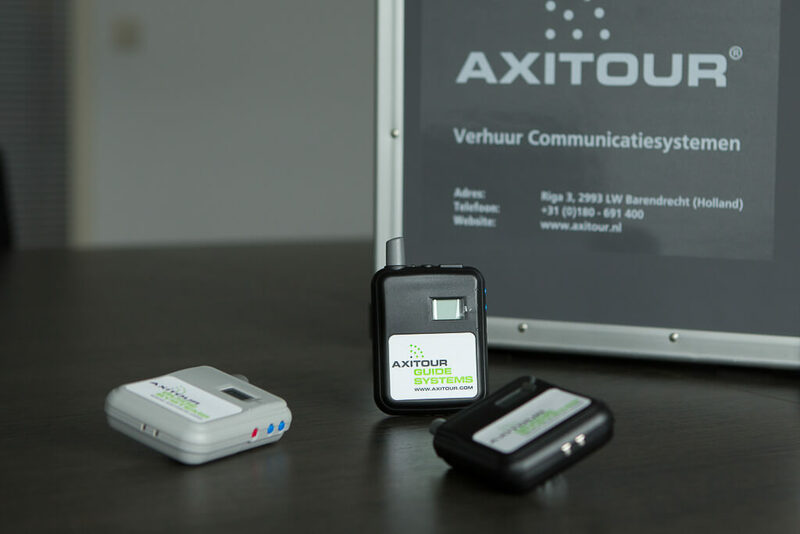 Read on these pages how the entire process works at Axitour Communication Systems. Ordering from abroad is no problem. We provide communication systems all over the globe. You can send a request for quotation and/or an order by email. To determine the shipping costs, please include the delivery address. Individuals pay us before we will ship the products. All necessary information about Axitour Communication Systems can be found on the quotation. Think of bank details, Chamber of Commerce number and other relevant information. Once the money is on the account of Axitour, we will send the products asap. Companies can postpay Axitour with a period of 30 days. If you want to pay with PayPal, please indicate this in the request for quotation. For a PayPal transaction, we charge a 3% fee on the transaction amount. These costs will be included in the quotation. From experience, we know that our products are usually not defective, but are not set, connected or installed properly. We advise you to read the operating manual again. If that fails, you can contact our Customer Service. They can help you with your product or a possible return shipping of the product. If a product needs to be repaired, we ask you to fill in the form below, so that we can help you as well as possible with the repair. We sent rented communication systems always in a Axitour case. At rental, we ask you to send back our systems always in the same case. In this way, we are assured that our communication systems are always send protected. If you want to come along, please make an appointment by telephone in advance.